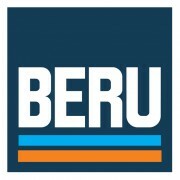 V&D Auto is the offical - authorised importer of BERU products in Bulgaria. BERU is the worldwide leading manufacturer of diesel cold start systems and ranges among the four leading manufacturers of ignition technology for petrol engines. Its third business field comprises automotive electronics and sensor technology. The BERU brand stands for innovative product solutions and high quality standards in the international automotive market. Recognizing trends at an early stage, developing high-performance products and cost-efficient production methods – these are the key strengths of BERU.